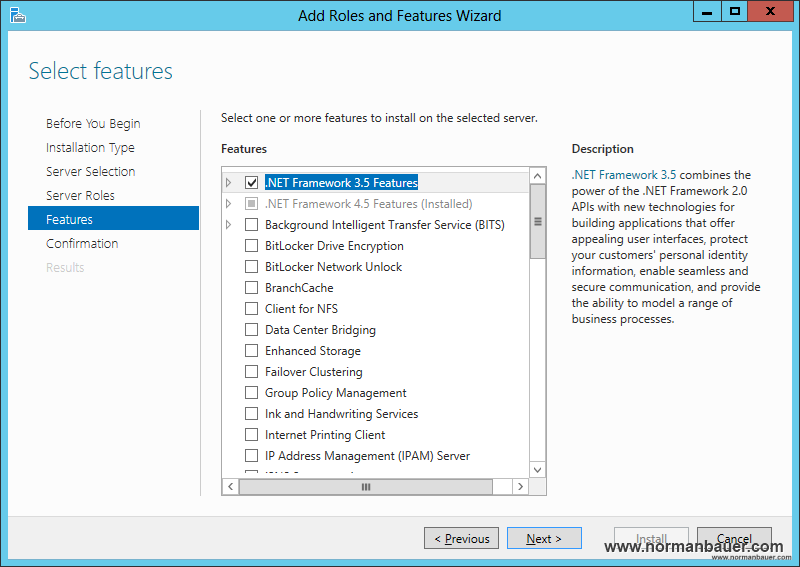 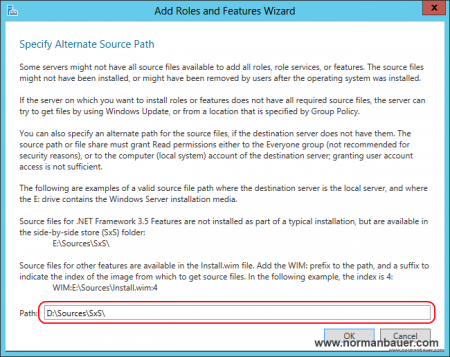 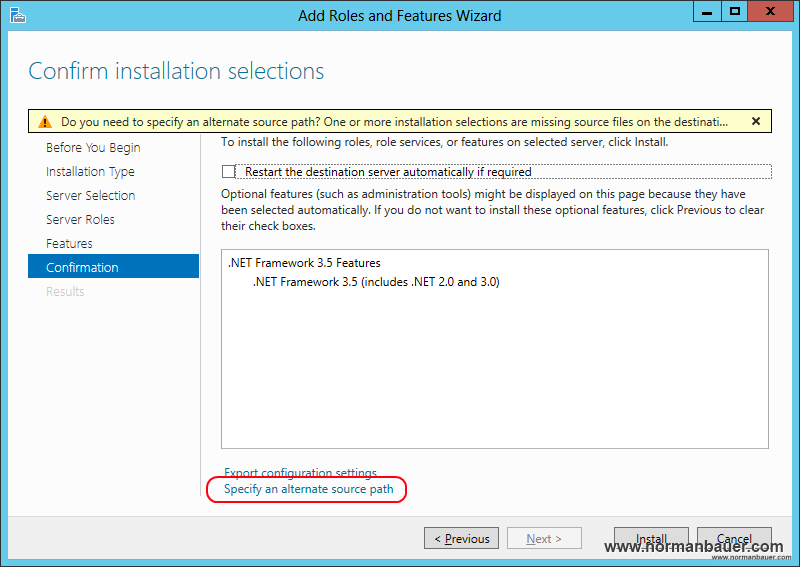 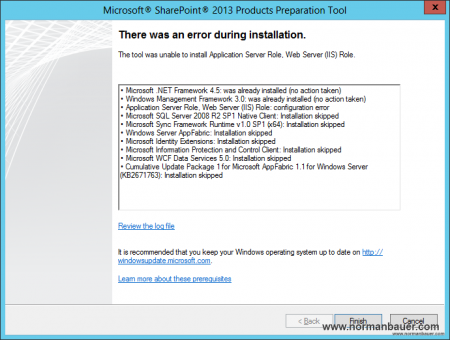 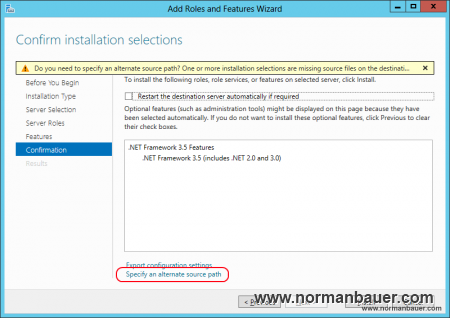 Application Server Role, Web Server (IIS) Role: configuration error. 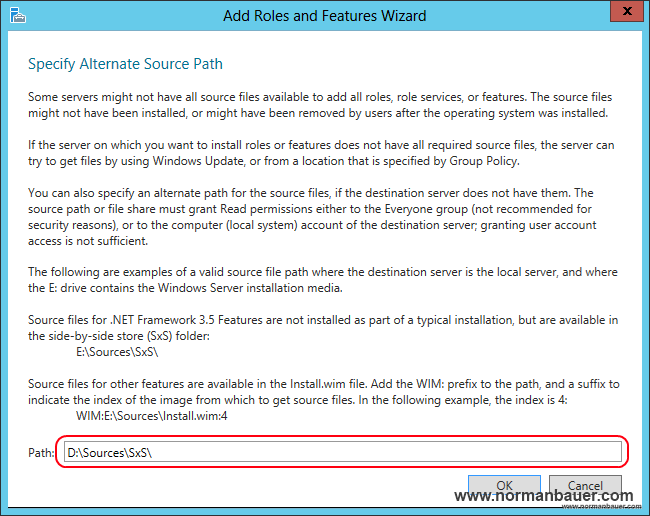 After this step make sure to specify the source location (by clicking Specify an alternate source path) of the installation files (usually D:\sources\sxs) because the source files for .NET Framework 3.5 are not copied to the harddrive during Windows setup. Thanks so much for this, could NOT figure out why this was failing.